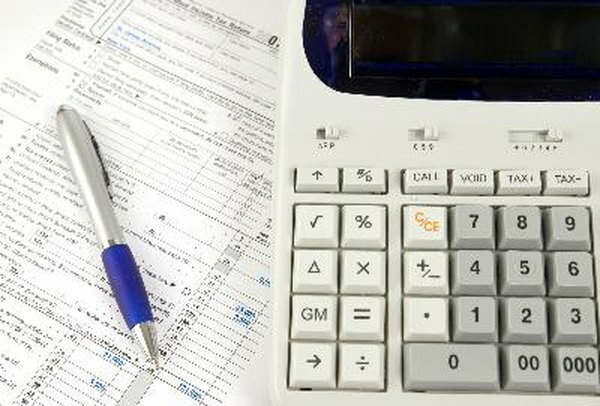 Calculating your gains makes tax filing more complicated. Investing some of your money is a smart financial move to provide gains and keep your wealth safe from economic risks. All investments have the potential to earn you money, but whatever you earn will also have tax implications. Paying taxes on your investment gains may impact how you choose to invest and the process you go through when you prepare your income tax return. In general, any money you earn from an investment is taxable. This includes both income that you earn while you hold an investment, such as interest on a bond or dividends on stock, as well as profits you make when you sell an investment for more than it cost to acquire. While you can minimize taxes on investment profits by choosing when to sell, investment income is always taxable in the year it is paid. Just as investment gains impact your taxes, so too do investment losses. In any given year, you can subtract your capital losses from your capital gains to determine how much you must pay tax on. This means that if you cash in a profitable investment but sell an investment that is worth less than you paid to acquire it, you'll need to claim only the difference as taxable income. If your losses outweigh your gains, you aren't required to pay tax on your gains at all. All gains from investments that you held for a year or more are classified as long-term capital gains. Gains from investments that you owned for less than a year are classified as short-term. Long-term capital gains are taxed at a significantly lower rate than other income and short-term gains. The money you spend managing and acquiring investments is also tax-deductible. This applies to outlays such as computer software, broker fees, time and money spent researching investments, and fees paid to a financial adviser or investment fund manager. The idea behind paying for these services is to produce investment gains, which are taxable. However, the money you spend on your investment activity helps mitigate your gains and your tax liability. The timing of your investment gains can have a significant impact on how much you pay in taxes. This is because income tax is a progressive tax; the more you earn, the higher your tax rate. Selling an investment for a profit and claiming capital gains in a year when you can also claim capital losses will reduce your tax. Likewise, waiting to cash in investments until you retire and your income -- along with your tax bracket -- drops will also reduce the percentage of your investment gains you lose to taxes each year. Are Stock Commissions That Are Paid Tax Deductible on Your IRS Filing?